EU-PAP is home to Europe's largest selection of CPAP Machines. 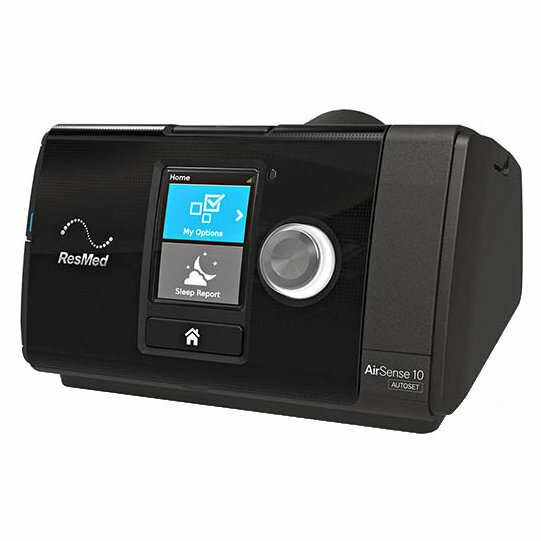 Whatever requirements or preferences you have, you're sure to find the right CPAP machine to treat your sleep apnea. Need some help before choosing which CPAP machine you need? You can read our CPAP Machine FAQ at the bottom of the page to help answer on queries you may have. Anything CPAP machine questions still left answered? Then you can Contact Us via phone or email and we'll be more than happy to help you get the right CPAP machine for you. Note that CPAP masks are always sold separately (Why?). 1) What is a CPAP machine? 2) Can I get a CPAP machine from you? You must have conducted a sleep study that demonstrated you required a CPAP machine and be able to provide us with written confirmation of this. A sleep study can be conducted by the NHS or privately. If you have not yet done a sleep study, then please see our website dedicated to quick, confidential studies starting at £99. 3) Which CPAP machine is right for me? There are two types of CPAP machine - fixed pressure CPAP machines (often simply called CPAPs), and Automatic CPAP machines (sometimes called APAPs or Auto CPAPs). If you have been prescribed a specific pressure by a clinician or GP then you have the option of getting a fixed-pressure CPAP machine, though you may prefer to buy an automatic CPAP machine anyway. If you have done a sleep study but have not been given a specific pressure setting then you would need to choose an automatic machine. If you have not done a sleep study yet then you would need to do a sleep study, which will allow you to then purchase an automatic CPAP machine. 4) Do I need a humidifier with my CPAP machine? Some people experience a dry mouth when waking after using a CPAP machine. A humidifier is used to prevent this. If you already experience this prior to CPAP then a CPAP machine is likely to exacerbate this and a humidifier is therefore recommended. If you do not already experience a dry mouth, then you may prefer to go without the humidifier initially to see how you get on, as you can always purchase a humidifier at a later time if required. For our full guide to CPAP humidification please click here. 5) Which CPAP machine is the best? There is no simple answer to this; it depends on your individual requirements. We only sell CPAP machines that meet all of the industry standards, so there will be technically very little between them. You can therefore choose a CPAP machine knowing whichever you go for, your therapy will be of a high standard. However you can choose based on factors such as size, simplicity, data recording, portability, and even simply aesthetics! All of our CPAP machines have detailed descriptions to help you decide but should you need any additional guidance then please contact us and we will be able to help you decide. 6) What comes included with my CPAP machine? 7) Is a mask included with my CPAP machine? 8) Do CPAP machines require servicing or maintenance? Other than routine changing of the filters as set out in the user manual for the specific CPAP machine, it requires no other routine maintenance or servicing. Most machines have two filters, one which needs replacing each month and the other every 3-6 months. Should a fault develop within the warranty period (typically 2 years) through no fault of your own then Intus will faciliate a repair or replacement at no expense to you. Outside of the warranty period any repairs would usually be carried out directly by the manufacturer at a cost agreed between them and you directly. Need help choosing a CPAP machine? Choosing a CPAP machine may look like a minefield; particularly if you have only just been diagnosed with Sleep Apnoea. However, once you know what to look for it is very simple to find the right machine for you. That is why we have written a guide to help you narrow down your choices and give you a greater understanding of exactly what it is you are choosing, ensuring you get the machine that is perfect for you. Have a read of our CPAP Machine Advice page to help you understand what you're looking for. Still help help? Give us a call on 0844 504 9999 or email us through the Contact Us form.